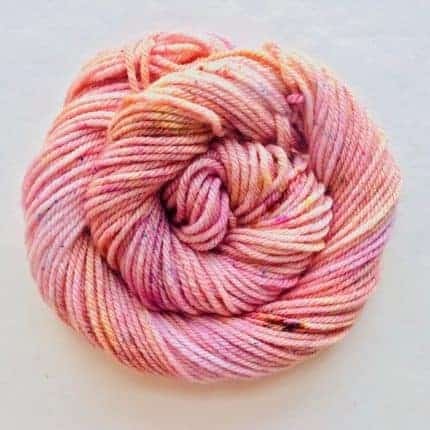 Hello and happy spring from Pancake and Lulu Yarn, aka PLY! For April, fun colors and spring refreshing are on my mind. In yarn news, I am still on a speckle experimentation kick. I have been creating some new Speckle Semisolids, which read like solids from afar, but are more speckle-y when viewed up close compared to my regular semisolids. 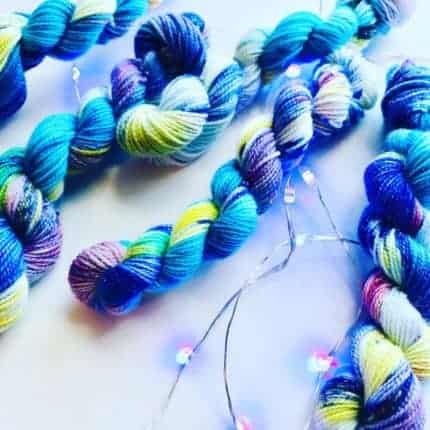 I am having so much fun using these with some more traditional speckles in my latest cast-on: the Soldotna Crop by Boyland Knitworks. 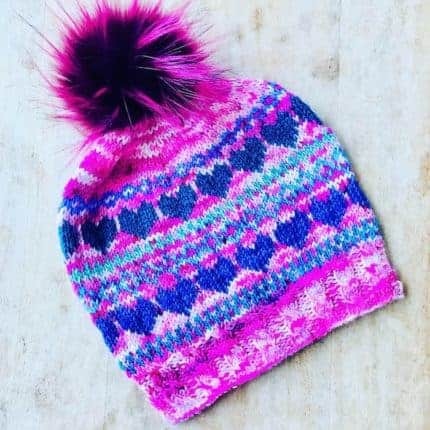 This is my first Caitlin Hunter project and I see right away why she is so popular — the pattern is very addictive! 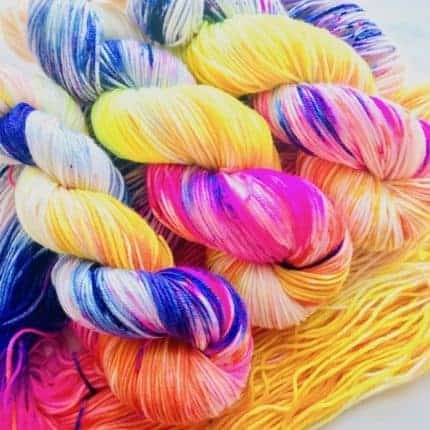 I’m also planning to create some really special spring miniskein sets this month. So keep an eye out for those. 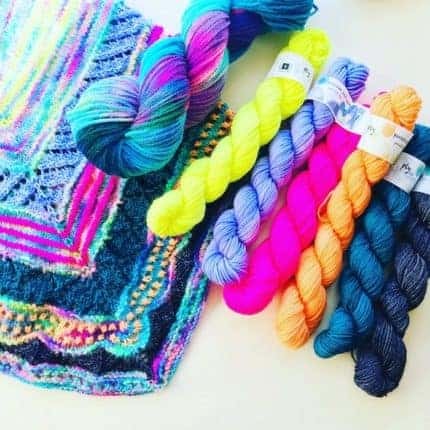 Some of these combos will be based off of my versions of the All You Need is Love hat by Swift Yarns and my Shortcut Cowl by Stephanie Lotven. 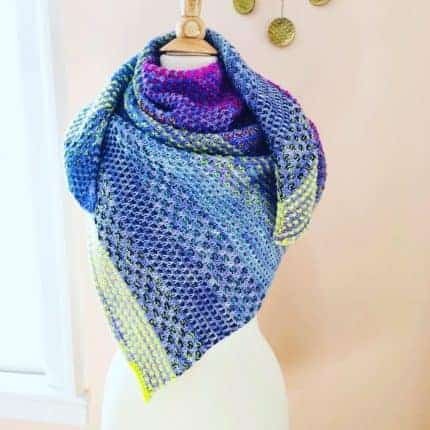 Another will be based off of my version of the Nightshift shawl by Andrea Mowry. Speaking of Andrea — I met her!! I attended Andrea Untangled in Brooklyn. It was such a fun event and a great evening with Andrea and the incomparable Kristy Glass. It was a thrill to meet both of them and to show off my Nightshift made with PLY yarn. They are both so friendly and fun, as are all the wonderful knitters who attended. Lastly, in My Dye Studio news, I am in the process of creating and moving into a brand new huge (compared to my old) workspace! I have completely cleaned and painted the basement under my kitchen and am installing a large restaurant sink, ventilation system and work tables. Check Instagram this month for my progress reports. It will be a total dream space for me to work in. Yay for fresh spring projects!